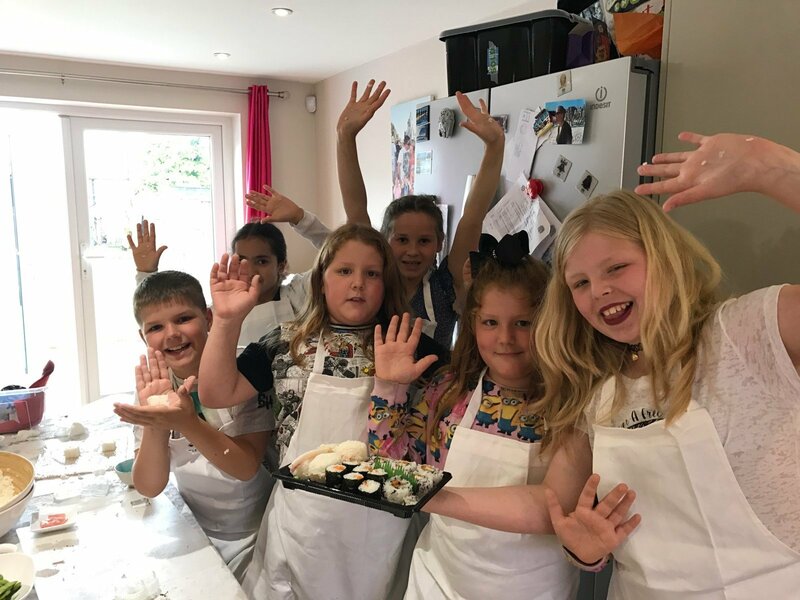 ​Our summer holiday sushi workshops were such a hit we will be back hosting sushi-making workshops for children aged 5+ at The Plough, Upper Wolvercote during February half term and the Easter holidays. 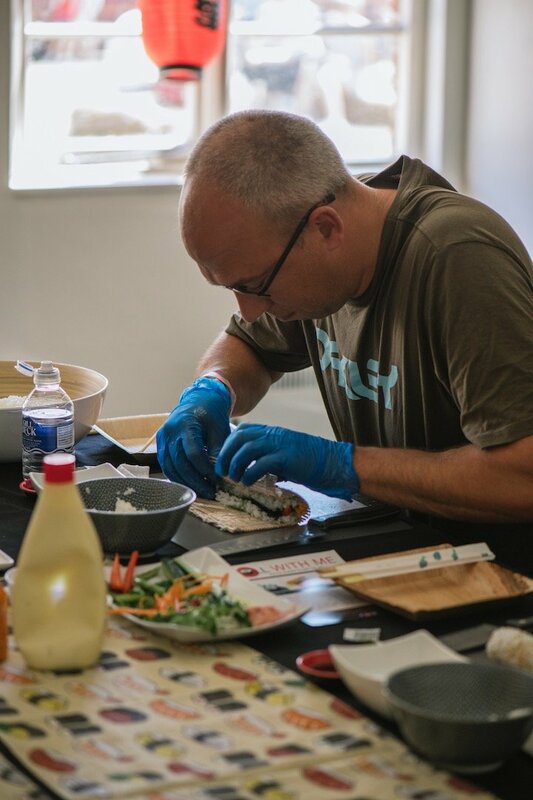 This is a hands-on event where the children will learn to make and eat their own sushi. 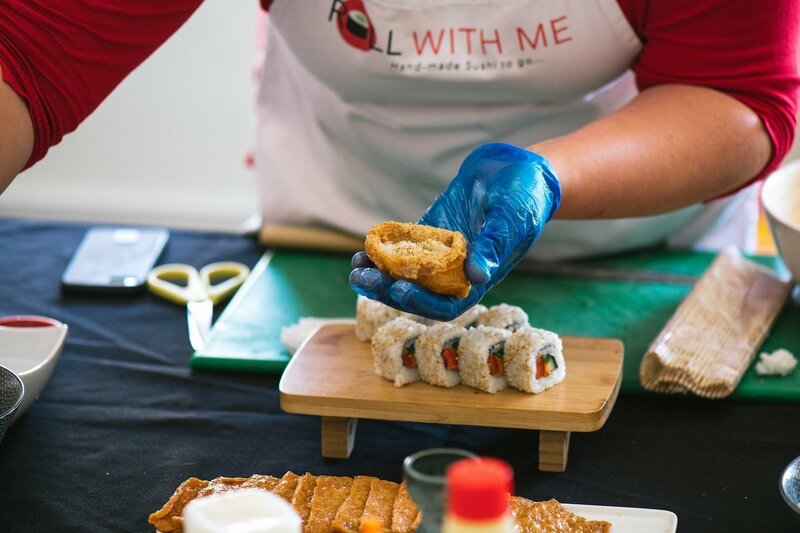 We won't be including any raw fish, the kids will use familiar ingredients such as tuna mayo, seafood sticks, breaded chicken and heaps of crunchy veggies. 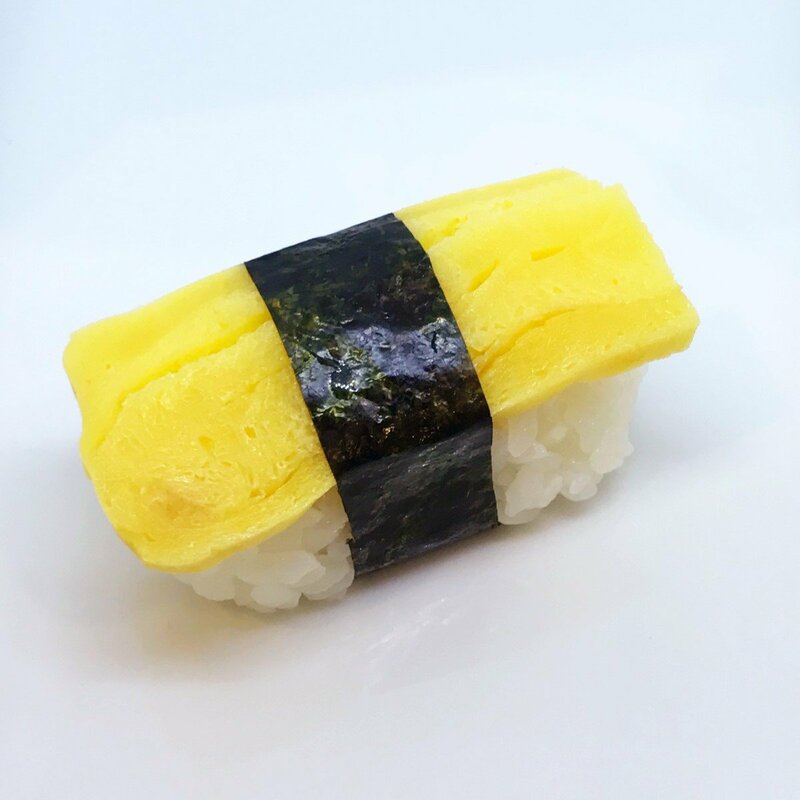 We will make inside out rolls, veggie hosomaki and sweet inari tofu pouches stuffed with sushi rice and roasted sesame. Numbers are limited. Payment is required in full to book your place. Tickets are non-refundable. 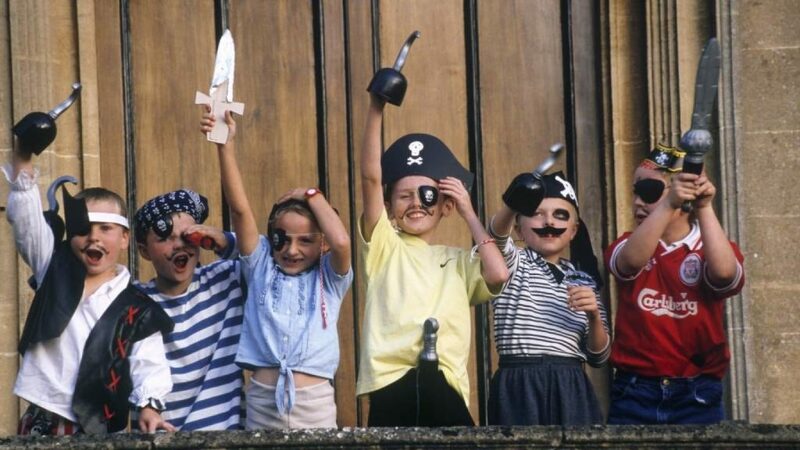 We reserve the right to cancel and refund the cost of the ticket if the minimum requirement are not sold. 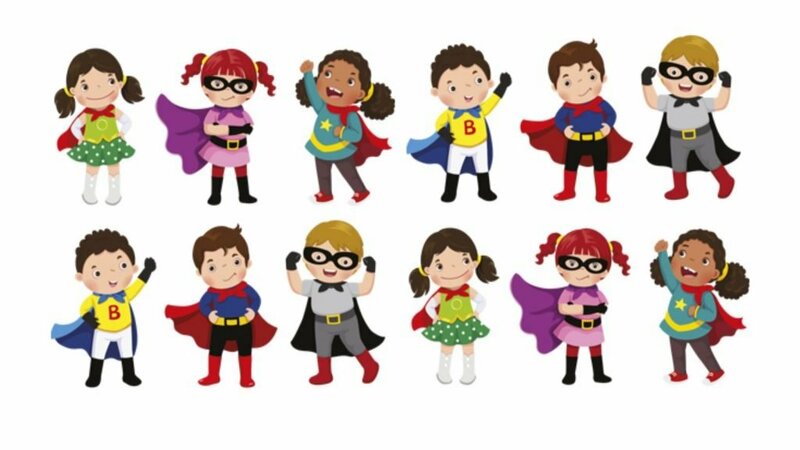 Please mention when booking any food allergies and other important information about your child. Alcohol will only be served to over 18s. 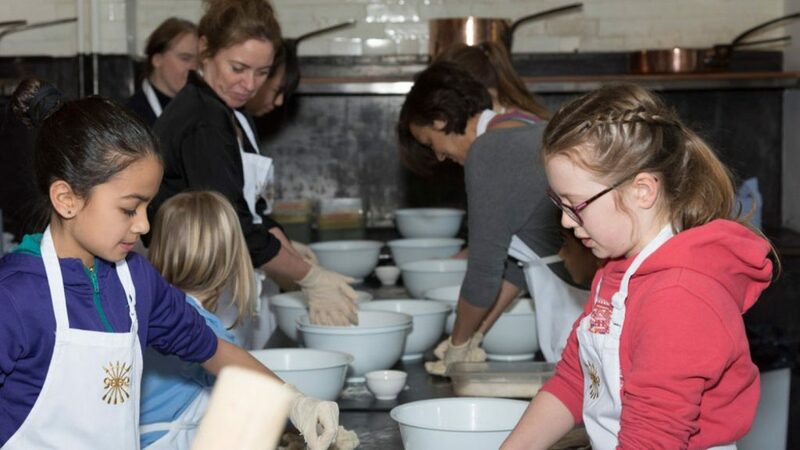 Parent/carer must remain on site for the duration of the workshop. 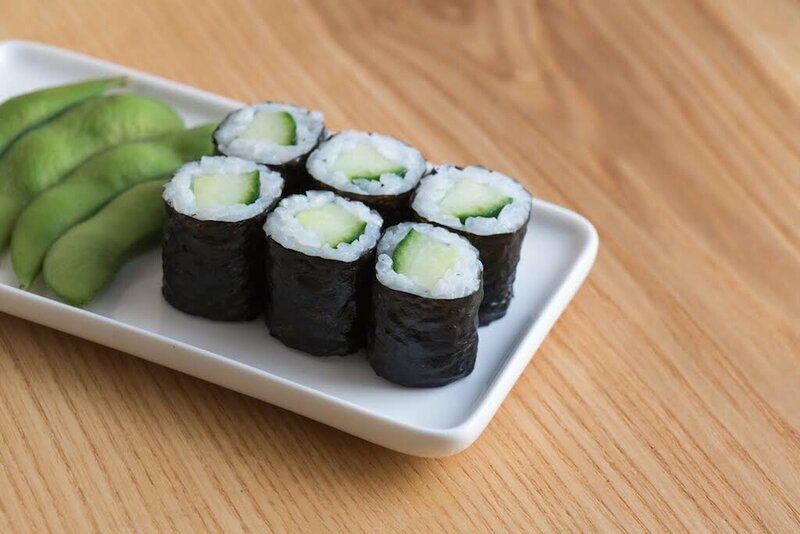 Pre-order required for all ingredients. 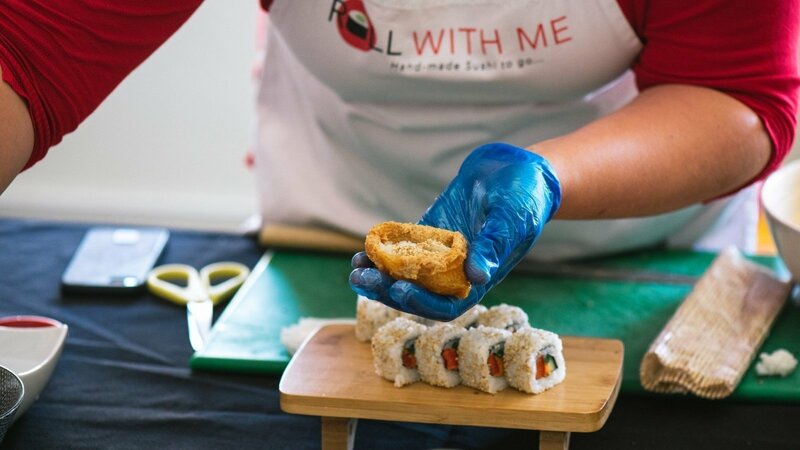 Roll With Me is an independent catering business based in Kidlington, Oxfordshire. 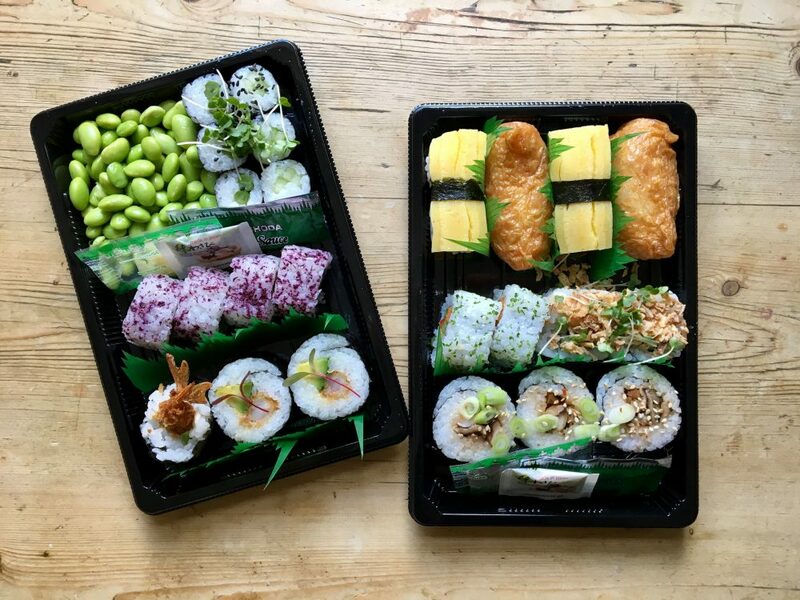 In addition to our delivery & collection service we offer catering on a small and large scale, sushi-making parties, sushi-making workshops for schools and groups (such as Scouts, WI etc), sushi cakes, kids' birthday parties, hen nights and a regular pop-up sushi bar at various local venues.